As the wedding season starts drawing to a close for 2016, Elite Sound can reflect on a job well done. This year has seen us travel far and wide providing that special backdrop to many weddings up and down the country. From the Yorkshire dales to leafy Berkshire, Elite sound has entertained and illuminated the many weddings we have been involved in. 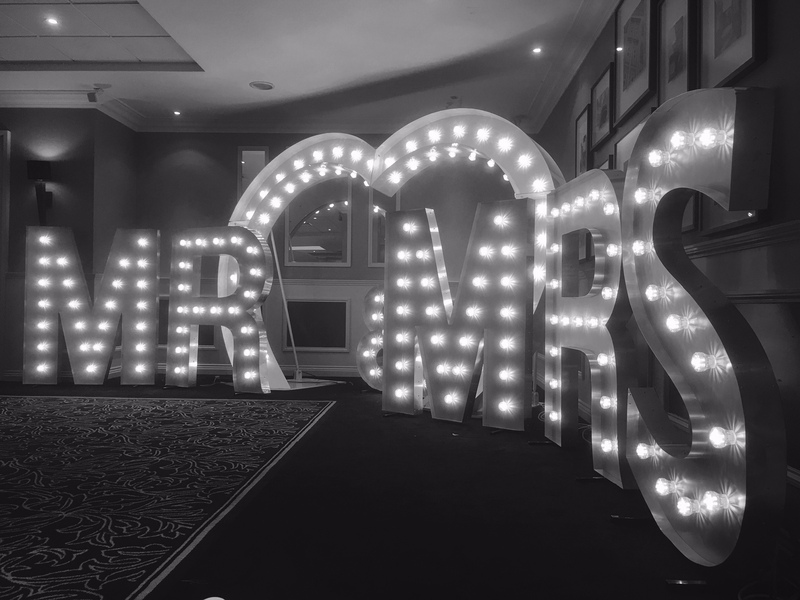 Our five foot light up letters continue to be very popular with a mixture of MR & MRS, LOVE, DANCE, bespoke initials and many more providing a strong focal point for many brides & grooms big day. Over the course of the year our travels have taken us to many new venues and meeting lots of great people, but we still have much work to do with many weddings still to take place before the year end. With this in mind we are delighted to offer a 10% discount on any remaining available 2016 dates on all of our products.